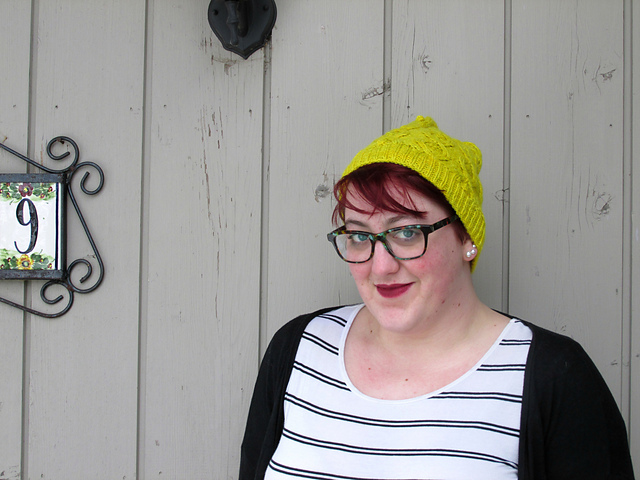 The Wayward Knitter: Bobble Hat! All while I was knitting my Vianne I hoped that I'd have some leftovers. 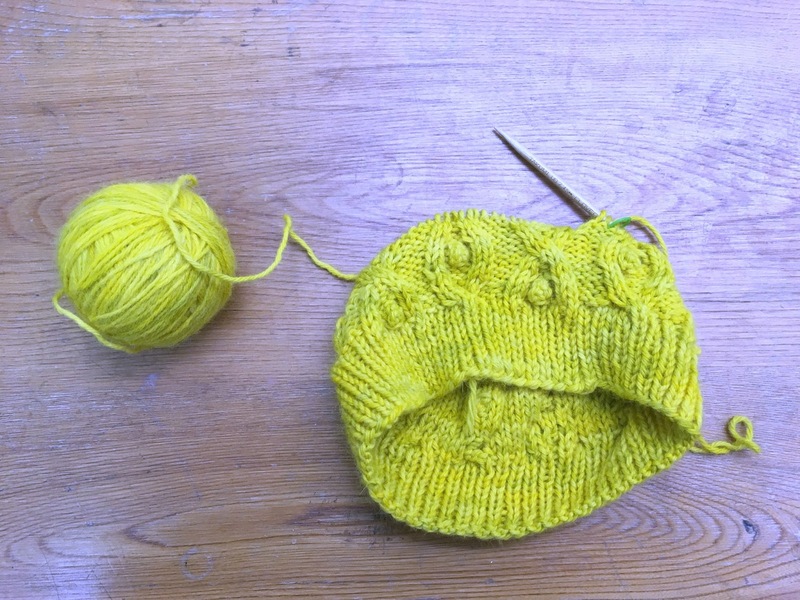 For a few months, I've had a vision of a bright yellow, cabled, bobbly hat floating around in my head, and I was super excited to have a skein of this yarn left after my sweater was finished so I could play around with it. This is actually the second version of the hat. I had it all knit up and had done the first two crown decreases last weekend, then decided it was definitely not working and ripped the whole thing out. I did some more thinking, some sketching, some charting, and some swatching, and started again, even more bobbly and cabley than before. I'm really enjoying knitting this up, despite the fact that this is the second time I've knit this hat (albeit, a very different version of it). Sometimes I power through uncertainty instead of ripping back and reworking something, but I'm so glad I started over this time. I love it! Bobble are the kind of thing that i find perfect for hats - never so many that you get sick of them, and a great place for that sort of texture. it's a gorgeous colour - and hats are little enough that it's not too painful to rip them out and have another go!